I do love when you get an unexpected treat. Rain sometimes does force you to try different things. So great that your day turned out so great. I am always so amazed at what artists can create out of basic materials. The detail on the wooden carvings looks exquisite. I guess that is what you might expect in the “Valley of the Woodcarvers”. I loved the look at some of the colourful DEUR sculptures. Bummer the rain squashed your hiking plans, but it sure makes St Christina a brilliant shade of green. The wood carvings are so detailed! The detailing on these woodcarvings is beyond exquisite. And I like that they can make custom carvings based on photographs – such a commissioned piece would be a great gift idea! I love it how sometimes the universe steers you in the right direction and you have a much better time than the one you had planned! The sculptures are beautiful, the craftsmanship is incredible – although I’m sure seeing it up close is even better! Now I really want to get to Val Gardena. It’s so fantastic these local artisans are still in business. I hope it does draw tourism to the area. I’d love to watch these master craftspeople. It’s a draw to South Tryol for sure. The craftsmanship of these woodcarvers is indeed amazing. Such detail and expressivity in these woodcarvings! 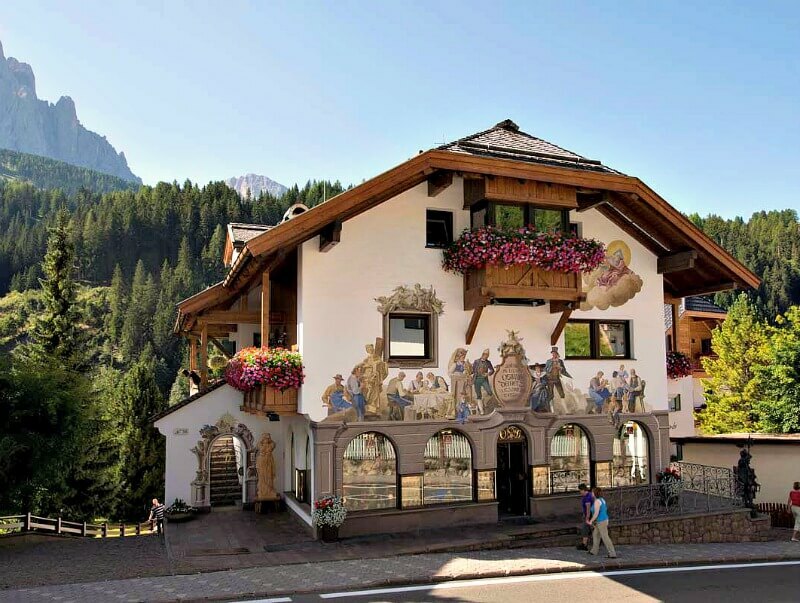 I’d love to visit Tyrol’s Val Gardena someday. That view of the Dolomites is astounding! We we’re in Tyrol last October. Had no idea if this haven’t forest by artisans. It would have been awesome to see those woodcarvings in person! The wood carvings are unbelievable! Such detail and color from a block of wood! The craftsmanship involved looks very intense. It’s always special to get a chance to see works of art unfold from their medium. Thanks for the how-to on how they create their works, the process is fascinating and requires a large repertoire of skills. These artworks are definitely great ways to bring home part of your adventure with you. Thanks for sharing. You’re welcome Stevo! 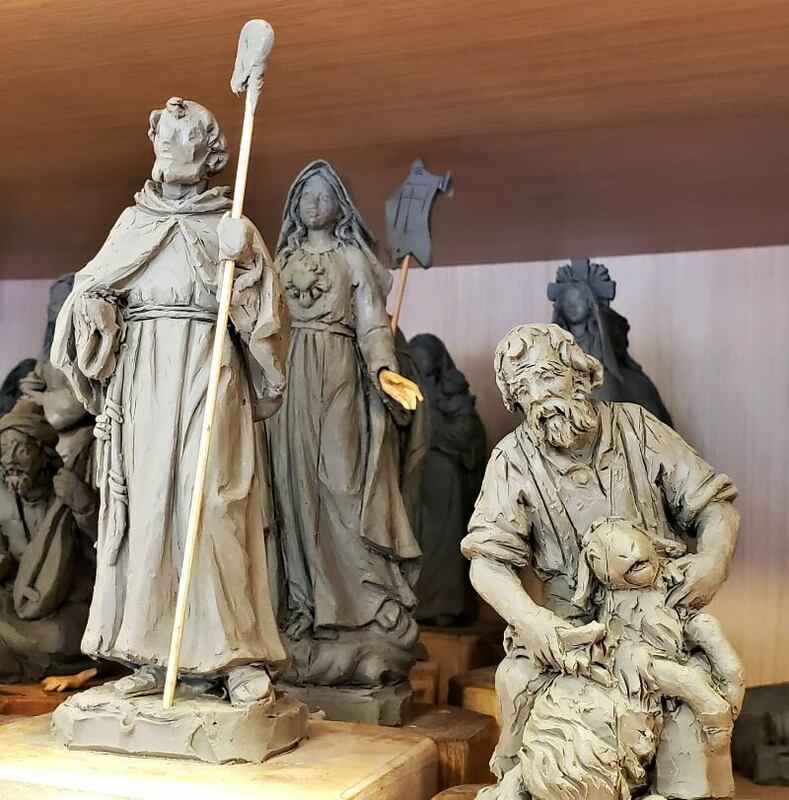 We feel very lucky to have been able to go behind the scenes with DEUR Sculptures to gain insight into the wood carving craft of South Tyrol. Thank you for commenting. I’m always fascinated by local crafts and could easily spend all day at the DEUR showroom. The craftsmanship of those woodcarvers is amazing, they almost look like porcelain. I love seeing crafts made by local artisans. It sounds like they have a story that goes back many generations and could really commemorate your trip to a place like this. I love that you discovered something so special because of bad weather. The “Valley of Woodcarvers” does have some really beautiful artisan carvings. TBH I had no idea about these carvings in South Tyrol! Thanks for educating me. A really fascinating tradition. Those carvings would make perfect souvenirs! They completely capture the rural charm and lush forest of the region! Such a fun read and what a wonderful experience you had. The clay models reminded me of my mother who was a clay artist in her youth. The carvings are so intricate and beautiful. Oh my gosh! I absolutely love the Dolomites! The mountains here are so stunning! Thank you for telling us about the artists hidden in the nooks of this wonderful place. When I heard people talk about South Tyrol before it was usually related to hiking or skiing, I had no idea they have such a fascinating local craftsmanship tradition. These wood carvings are impressive! The more cheaply produced plastic accumulates in the world around me, the more I learn to appreciate craftsmen like Nadia who make and paint sculptures by hand. 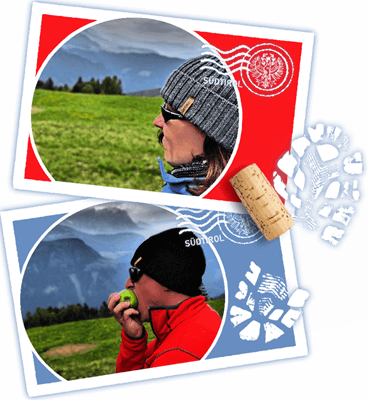 Glad we could show you another side of South Tyrol! Handmade artistry is definitely to be celebrated in today’s world. These wood carvers are so skilled! The sculptures are really done perfectly. This is my first time hearing of South Tyrol and Val Gardena so I have learnt something new today! Also the first two pictures of mountains are simply beautiful. Thank you Mayi! Glad we could introduce you to a new destination! Feel free to reach out with any questions if you plan to visit. 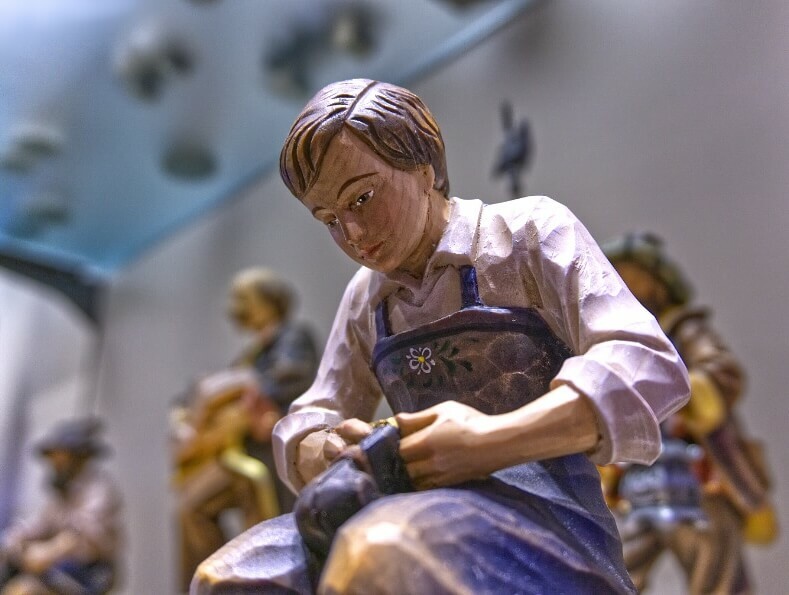 South Tyrol’s wood carving tradition looks fantastic and each Val Gardena sculpture is a masterpiece. The views are so stunning as well. Would love to go here someday. This is a great find. Unbelievable! We were just in South Tyrol this past summer and completely missed the carvings. I regret that because I actually collect wood carvings from my trips. How did I miss this?? Time to book another trip there. 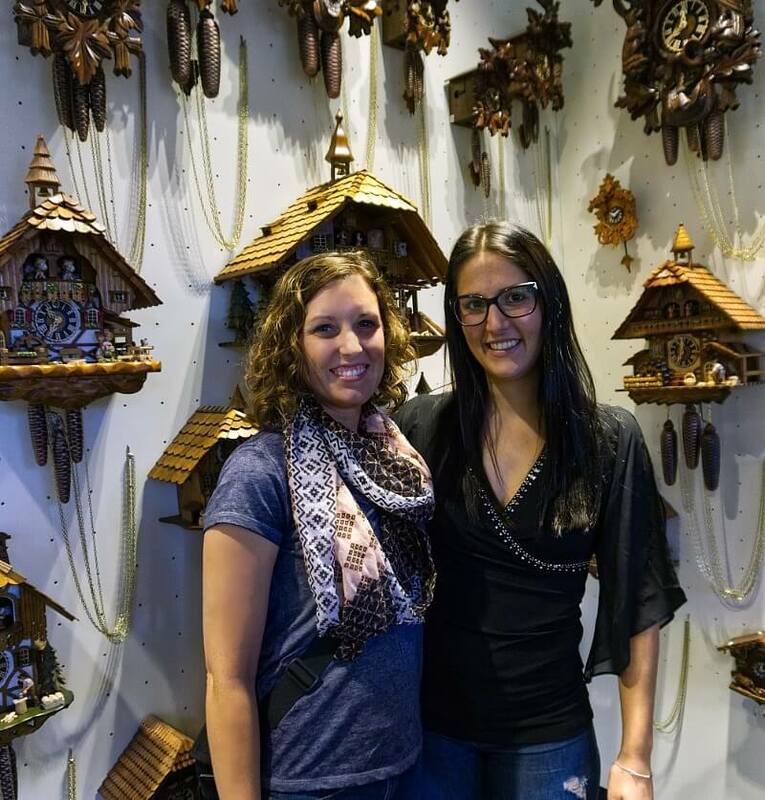 Sorry you missed out on the wood carving tradition while visiting South Tyrol! Hopefully, you get a chance to explore the expert craftsmanship when you return. Ortisei is a good place to start. Yes those carvings are really unique! This place looks like a craft lover’s dream. Would love to visit someday! 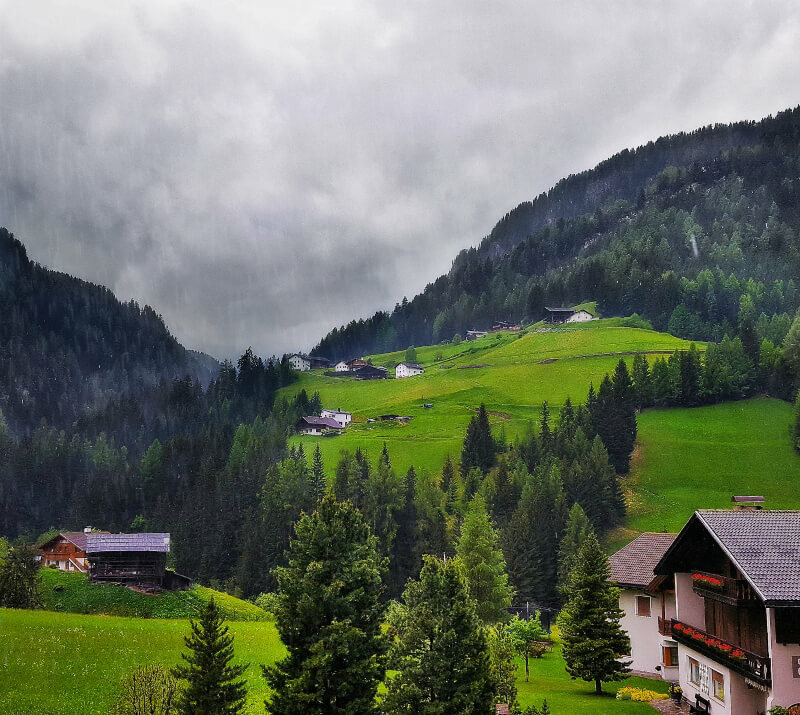 I had never heard of Val Gardena and so it was interesting to discover this place through your travels. The wooden sculptures are absolutely stunning. The DEUR Sculptures shop itself looks so charming. Glad we could introduce you to the region! Hope you get a chance to visit one day. These carvings are so beautifully intricate! It is incredible the unexpected experiences you can have when you don’t let a little weather get you down! 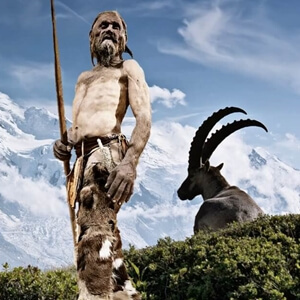 I will definitely have to visit South Tyrol to see the skilled wood carvings! This is so beautiful. 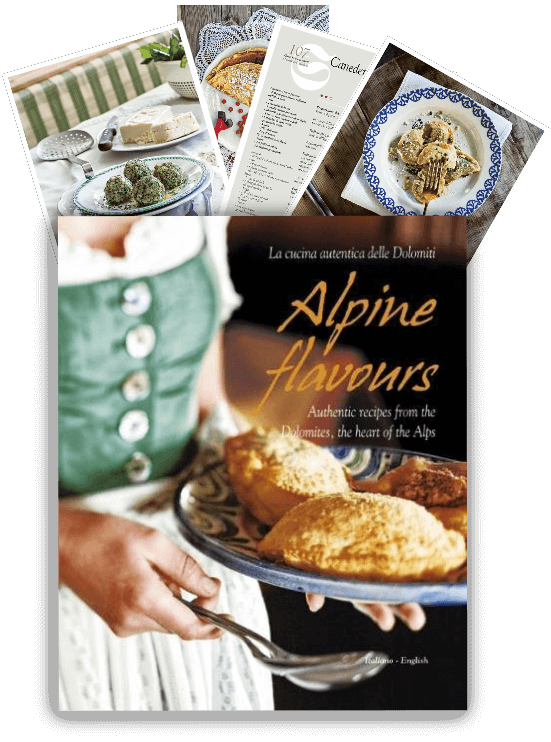 I’ve never even heard of Val Gardena but now I’m very much intrigued. Must have been such an experience venturing into the valley of woodcarvers.